for $325,000 with 2 bedrooms and 1 full bath. This 1,014 square foot home was built in 1947 on a lot size of 0.14 Acre(s). COLLEGE PARK: Delight in this completely renovated, charming bungalow amongst majestic oak trees on a large corner lot in popular College Park. Everything in this block two bedroom/one bathroom home is NEW in the past few years: including roof, windows, doors, drywall, electrical, plumbing, kitchen, bathroom, A/C, appliances, garage door, and landscaping. Original charm shines through in the stunning refinished hardwood floors and the wood-burning fireplace with its brick chimney setting the scene for a lovely outdoor seating area. A bonus flex space makes for the perfect office and leads outside to a private side courtyard. There is ample storage with dual master bedroom closets and an oversized one-car garage. Modern finishes and LED lighting are throughout this smart floor plan. 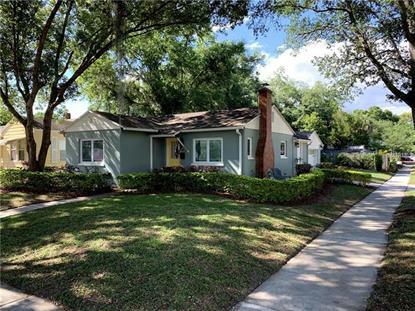 LOCATION is ideal - minutes to I-4 and everything College Park has to offer - community center and pool, Edgewater Drive, Princeton Park, and highly sought-after Princeton Elementary School.